You need to know certain important benefits of coconut oil because it is easily available, affordable and is obtained from natural origin. Stress: Just pour a few drops of oil and gently massage on the forehead. The aroma of the oil creates a soothing ambiance and offers instant relief from the stressful condition. Beauty tips for skin: If you have dry skin or aging skin, take the help of coconut oil to look wonderfully refreshed. It does the work of moisturizer on the skin and maintains the original glow of the skin. Since the coconut oil is a member of the Medium Chain Fatty Acids, the contents of the oil help in diminishing the look of wrinkles without any side effects. You can use it as an anti-aging element in your day to day routine. Many skin problems such as psoriasis, eczema and other similar manifestations on skin are managed by the application of coconut oil. It is used as an effective moisturizer in combination with other natural components like honey as beautiful skin tips. 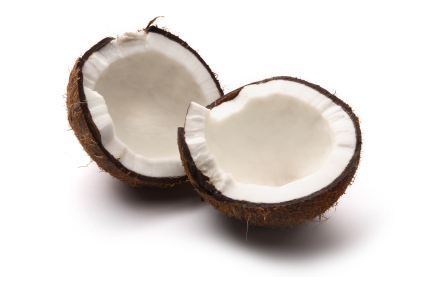 Coconut has a healing property that works superbly on open scars, cuts and small scratches. The oil creates a thin membrane, which protects the cut from the dust, dirt and other harmful elements in the atmosphere. You can use it as a first-aid remedy in your home for burns and cuts. Beauty tips for hair: Coconut oil is an elegant component for the growth and beauty of the hair. Traditionally, it is used in India by women since centuries to get a healthy volume and shine of the hair. It is the best natural nutrient for the hair and helps in hair growth naturally.